Jobs in Australia for Foreigners. Australia is one of the most popular destinations for immigrants who are attracted to the laid back lifestyle and fabulous amenities the country can provide, however finding jobs in Australia for foreigners is not always as easy as it seems. It is always advisable to receive a firm offer of employment before making the move to Australia however the difficulties of finding a job within the country from overseas should never be underestimated. The first port of call for anyone looking for jobs in Australia for foreigners should be the Government of Australia's website where there is a list of shortage occupations. If you possess the necessary qualifications and skills to undertake any of the roles on this list you will already be in a good position to find employment in Australia. You will also be eligible to apply for a Skilled Worker visa, with a better chance of being accepted. Engineering including civil, chemical, construction, electrical, electronics, structural, mining, petroleum, aeronautical, naval, agricultural, biomedical and transport fields. Possessing experience and qualifications in any of these industries makes it more likely that you will be able to find a suitable position in Australia and will be more likely to be granted a visa. One of the difficulties of finding work in Australia from your home country is the distances involved, however thanks to the internet, the problem is now a lot less significant than it was a couple of generations ago. There are a number of job seeking websites set up especially to help foreigners to secure employment in the country. Seek.com.au is one such example of a website that aims to help put potential immigrants in touch with employers requiring staff. There is also a Government job search site which is another useful resource in the search for work. Another option, if there is a particular sector that you have in mind, is to approach a company directly to see if they have any suitable vacancies that meet your skills set. Many big name companies have offices all over the world and their website will list all the vacancies worldwide. It may be easier to make your approach to a company that has a base in your home country as you will be able to attend interviews closer to home. 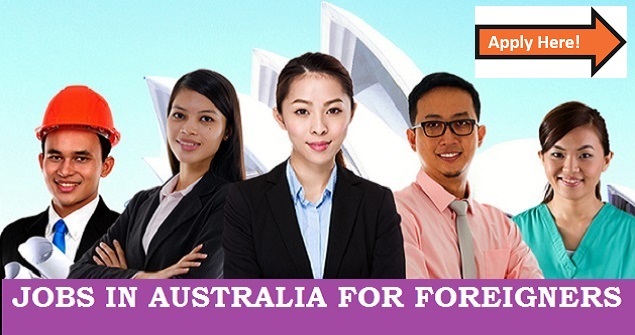 One easier way to find jobs in Australia for foreigners is to register with an international recruitment agency. Depending on your employment sector, there are specific portals set up to find staff from abroad to fill shortage roles in Australia and applying through one of these agencies require a lot less legwork on your behalf. Simply submit your CV and application and your details will be passed on by your representative to businesses and employers who are already looking for staff with skills that match your own. If you only want to work in Australia on a temporary basis, there are many seasonal and short term opportunities open to those from overseas. The hospitality sector is always a popular area of employment as is fruit picking, harvesting, and working in ski resorts or as an au pair. There are websites dedicated to matching temporary workers with suitable short term roles and they will provide all the necessary information about applying for the correct temporary visa that you will need to enter the country.